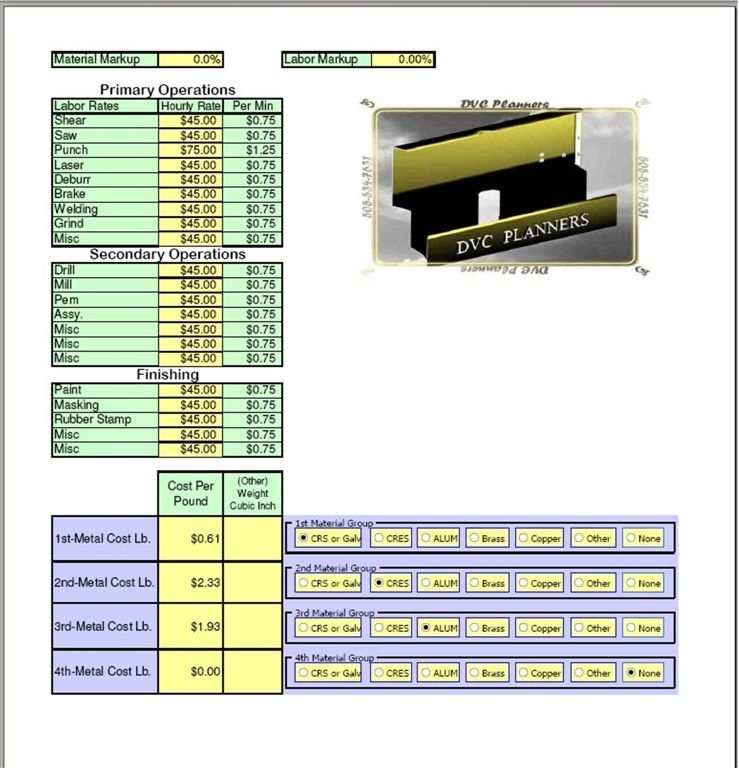 A Simple, Quick and Easy to Use Sheet Metal Job Shop One Page Quoting Program. 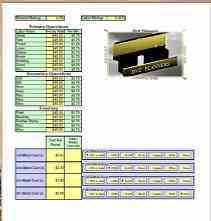 Can be easily adapted for machine shops. Perfect for all you small shop owners or you big shop owners if you have a quick quote to do and you want to avoid your bulky quoting system. 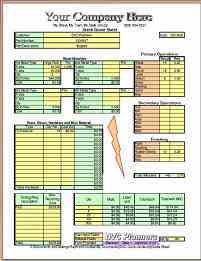 All calculations are done automatically and immediately updated. 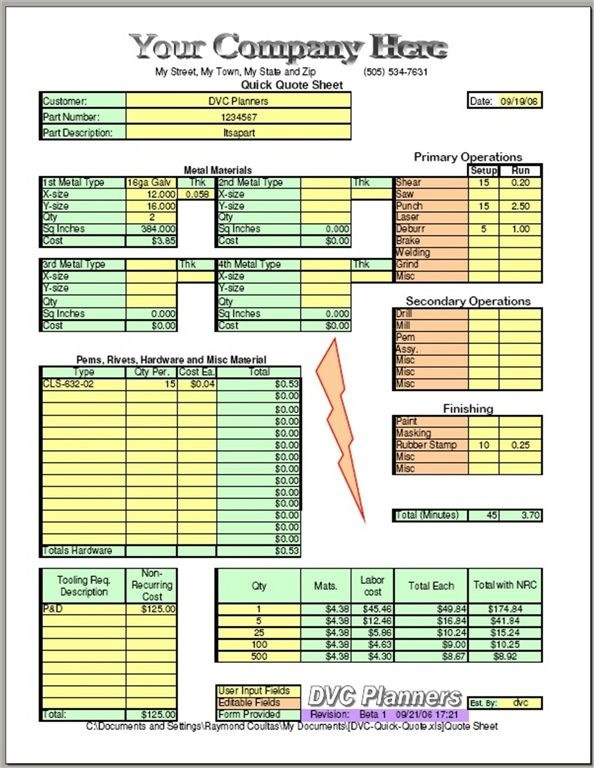 Easy Setup Page- All operations and rates are editable. This program requires Excel to run. Price includes 1 year of free upgrades. If a CD is desired then a $4.95 Shipping and Handling Fee will apply.